As I teased in my previous post, I was invited to one of our local Nashville malls, Opry Mills, to help promote their Accessorize Your Spring Sale. 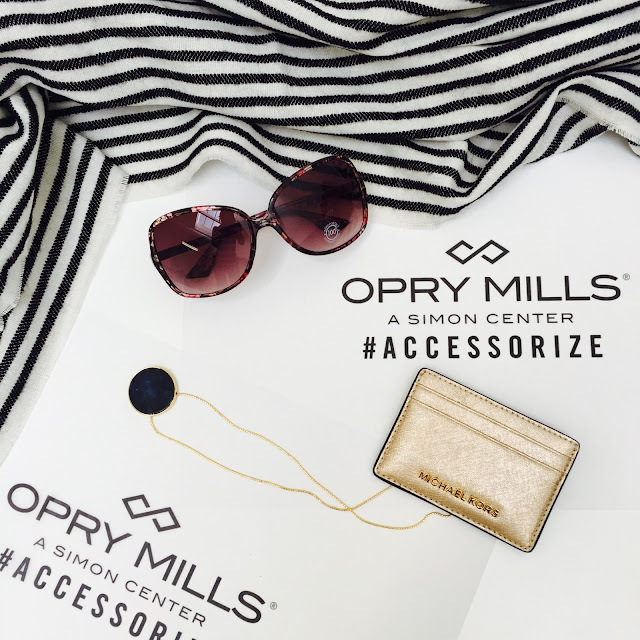 From Saturday, May 7th, through Tuesday, May 31st, you can find blow-out deals on accessories, on top of the everyday discounts of up to 70% off at the mall's retailers. My job? Ambush FIVE lucky shoppers, adding accessories featuring the latest trends to their wardrobe. The best part? These accessories total to $50 or less per shopper, AND they got to keep their goods after modeling. Great deal, yeah? This shopper had recently lost her wallet, so we gave her a chance to replace hers! 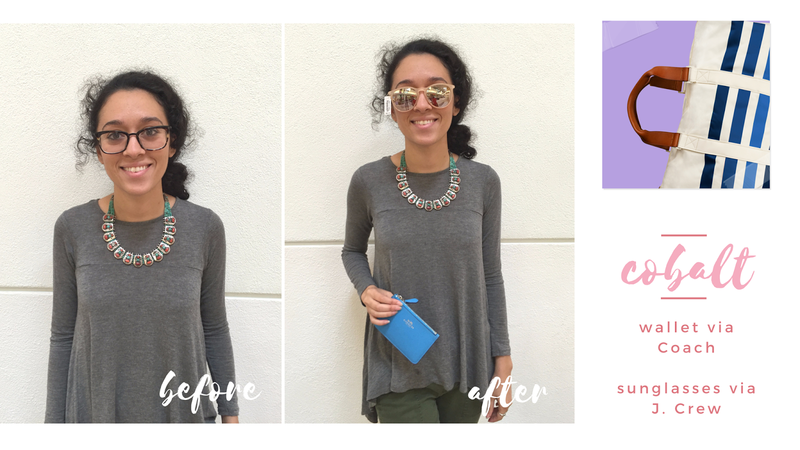 The metallic of the sunglasses and the bright blue of the wallet made her outfit pop more for spring. I love that she excited enough to attach her car keys to the wallet right away! This shopper loved the understated (but shiny and versatile!) look of kate spade, with a jeweled ball necklace and large studs. 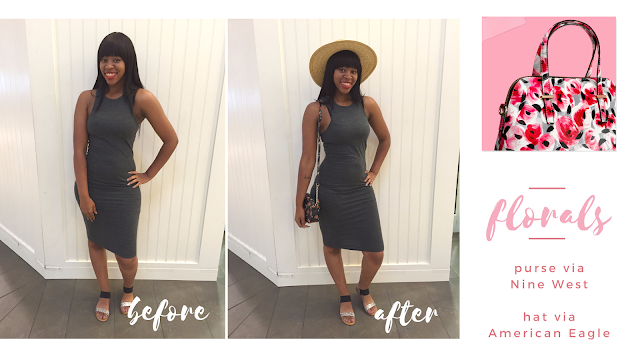 The pieces made her casual maxi dress look a little brighter, don't you think? 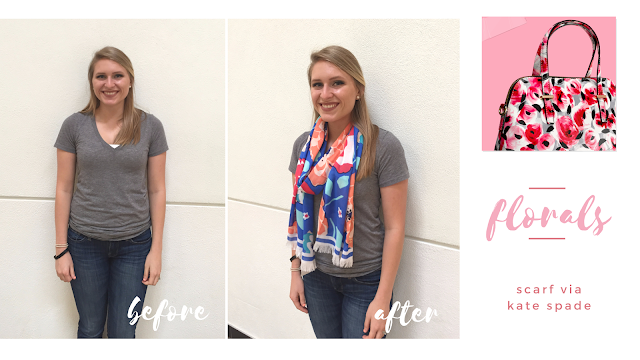 This shopper was dressed casually for a walk through the mall, but with an added floral scarf from kate spade, her eyes stood out more and her whole outfit looked more spring-y too. 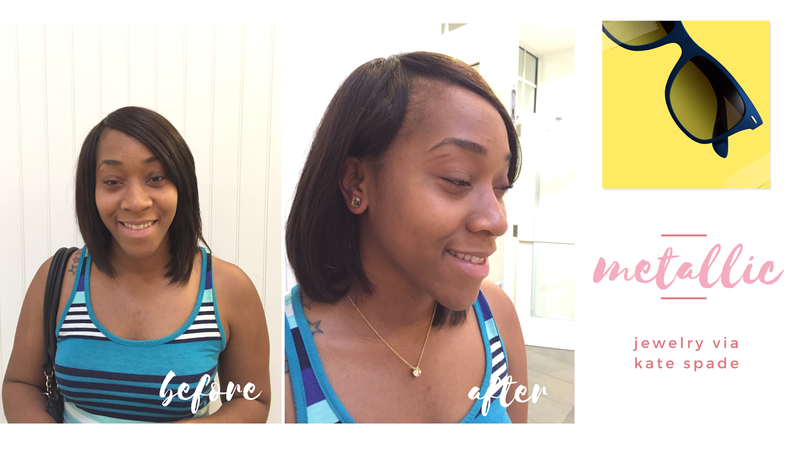 I had so much fun with this shopper! She had a casual, bright outfit on already, and the striped clutch we chose from J. Crew definitely added a great pop to her look. She also liked the strap inside the clutch to turn it into a shoulder purse. 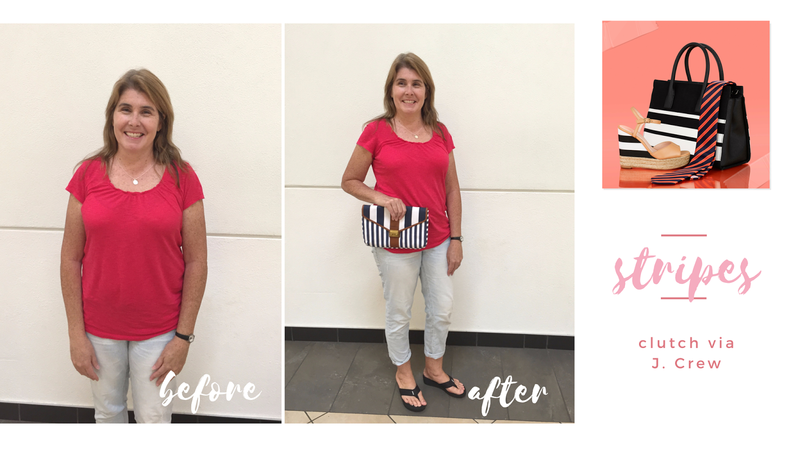 My last shopper was super fun to style! She gravitated towards an American Eagle hat, and ti was her idea to add the floral purse from Nine West! I think her look was already beautiful and on trend, and the hat and purse actually made it more of a daytime spring look overall. 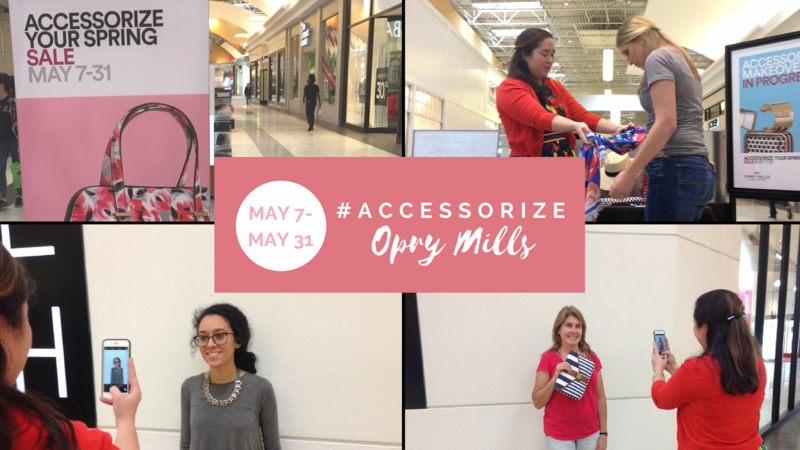 I had so much fun collaborating with Opry Mills to bring a little *pop* of accessories to these shoppers. You can join the fun too by visiting the mall now, through the end of the month, to take advantage of the great sales!